MISS FITZ A new limited release brew for you! From brewer Chris Davis you have rye malt, Austrailain hops a crips clean belgian ale yeast working together for one of a kind presentation! You can try it now at Craft Growlers in Charlotte and Tasty Beverage in Raleigh this evening! STOUT WARS! Join us for a day when darkness decends on the galaxy and our only hope is a cargo hold of rich winter ales! Some you know and love and others we will pour for the first time! 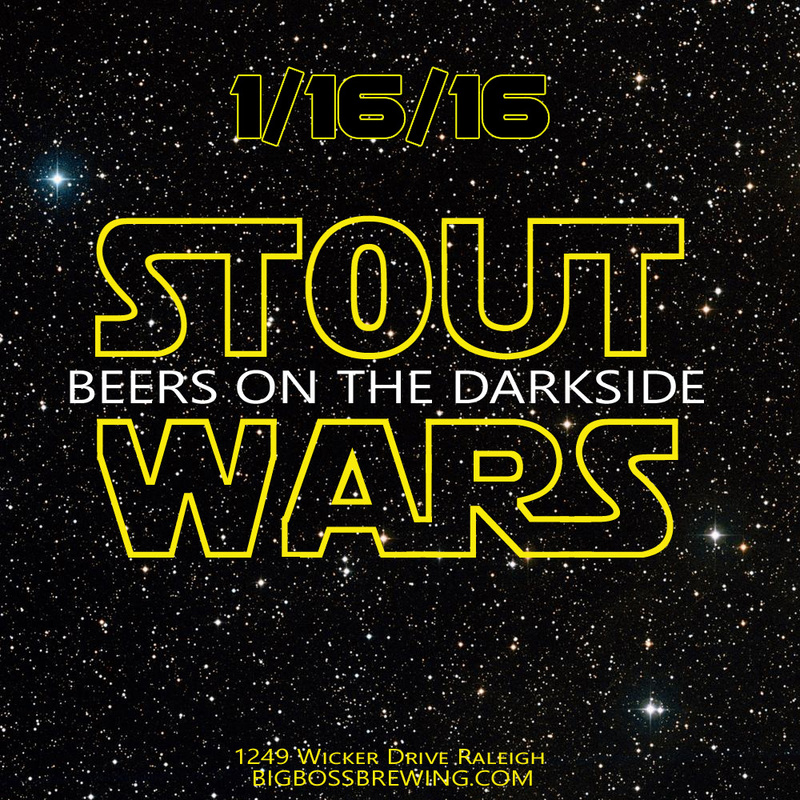 This will take place in a brewery not far, far away from you on January 16th 2016 beging at 2pm. More details here and on our social Media pages: Facebook / Twitter and each week here in our newsletter as the day approaches. 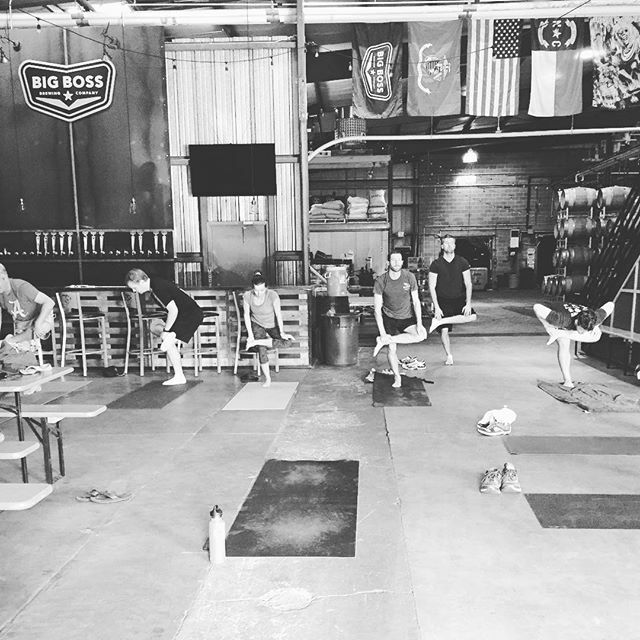 From our run club captain Jon: The Big Boss Run Club continues to meet through the winter! The weekly run is on Sundays at 12pm from the brewery. They have had a great turnout so far since the date change in early November. Come out for the fun, social run. Enjoy a post-run beer and visit with our sponsor partners and other runners. 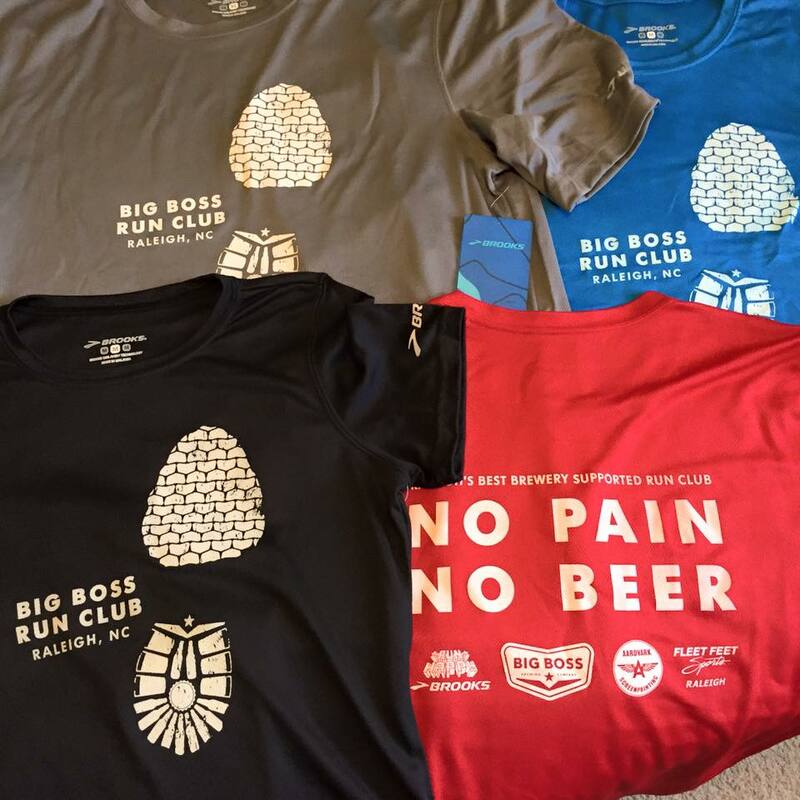 Routes and more information posted on Facebook at https://www.facebook.com/groups/bigbossrunclub/ "No Pain, No Beer" technical short sleeve shirts are now available for purchase at run club. SUNDAY YOGA Changing Yoga class time from 11:30 to 11 to accommodate guests interested in run club and yoga. Classes are donation based, and please bring your own mat. 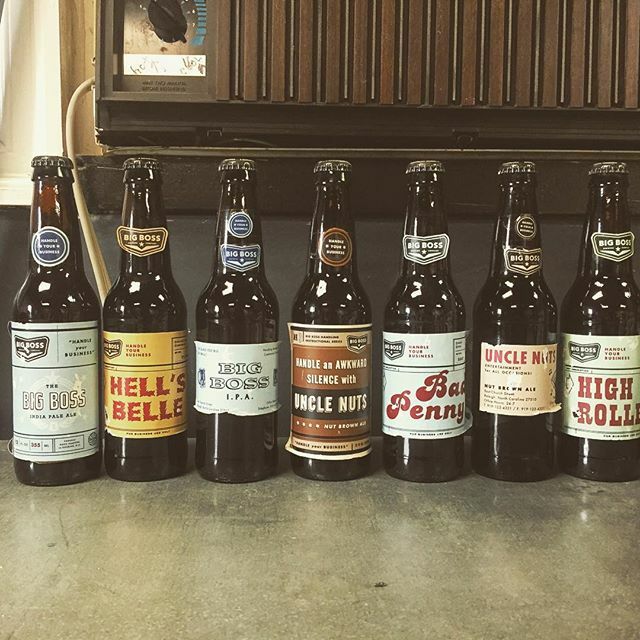 Dave Rogers – These are the beers I'm looking for! 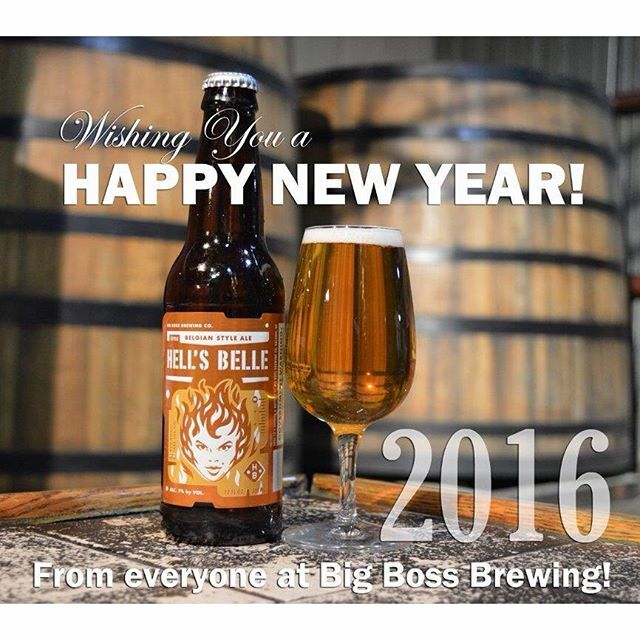 Enjoy a huge selection of Big Boss brews next time you stop at #tylerstaproom in the #bullcity. 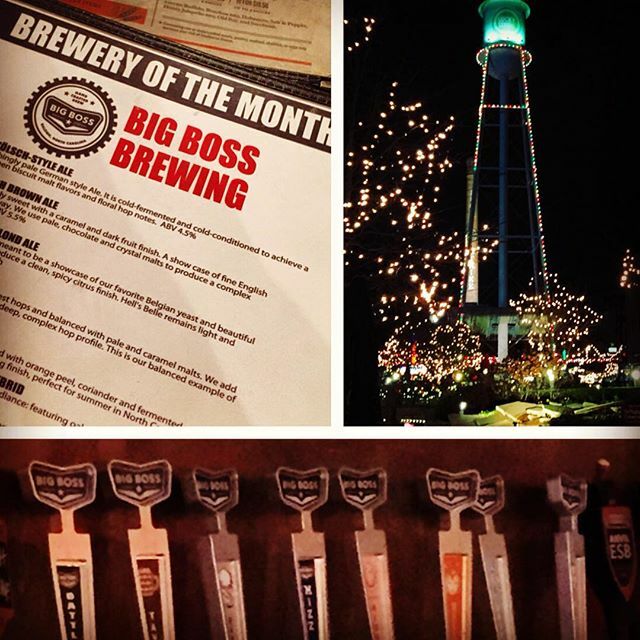 Brewery of the month tappings take place for the rest of the month! STOUT WARS! Join us for a day when darkness descends on the galaxy and our only hope is a cargo hold of rich winter ales! Some you know and love and others we will pour for the first time! This will take place in a brewery not far, far away from you on January 16th 2016 begging at 2pm. More details here and on our social Media pages: Facebook / Twitter and each week here in our newsletter as the day approaches. We shipped a TON (or more) of our two fall seasonals. 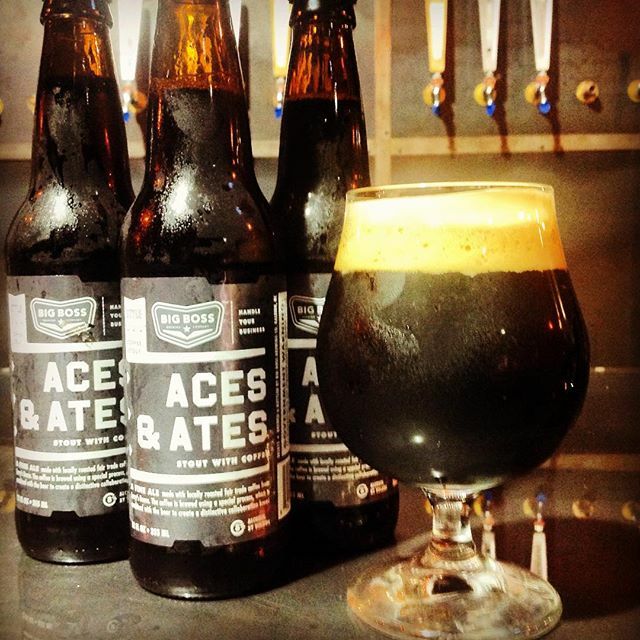 Aces & Ates coffee stout and Tavern Ale American/ English pub ale. If you do not see them please ask for it wherever you shop! We are in Durham this month with new beer tappings taking place weekly. Look for another exciting line up including Tavern Ale, Prometheus Unbound, Barrel aged Harvest Time plus a special Gingerbread stout brewed with Tylers staffers! Dave Rogers – The Force Awakens! Once again time for #caskale Thursday! 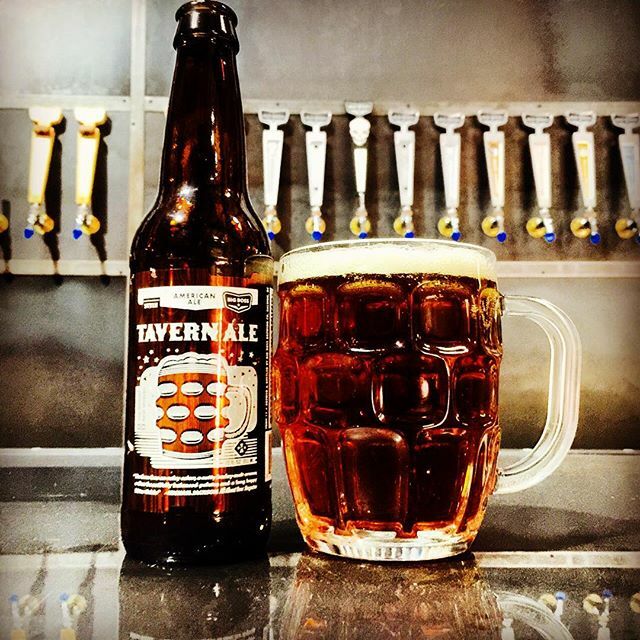 Tonight's hand pumped ale is our English inspired pub ale known simply as Tavern Ale! Enjoy a perfectly poured, balanced sip in our taproom, err Tavern! 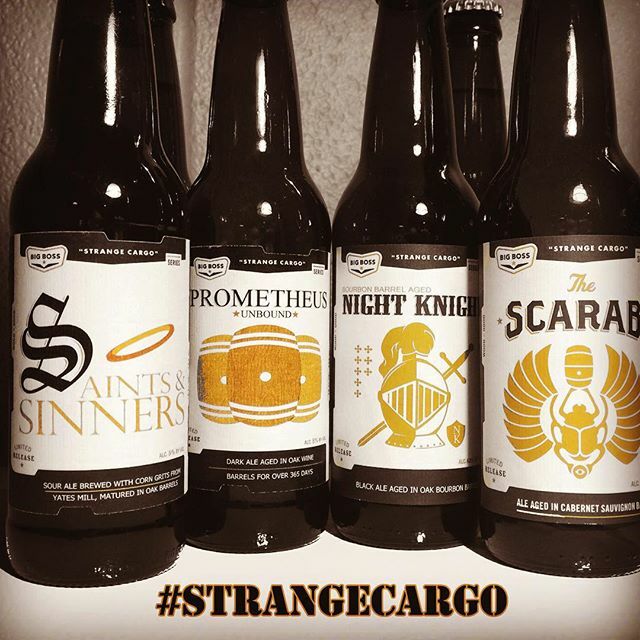 The Triad debut of the Big Boss #StrangeCargo bottle series!